For more details about the geographical border between Africa and Asia, see boundaries between continents. For more details about the geographical border between Europe and Asia, see Boundaries between the continents of Earth § Europe and Asia. For more details about the geographical border between Europe and Asia, see borders of the continents. For more details about the geographical border between Africa and Europe, see borders of the continents. The Malay Archipelago which lies on the border of Melanesia and Southeast Asia. Depending on the interpretation of the border, the Philippines, Malaysia and Indonesia, and Papua New Guinea can be considered transcontinental countries and East Timor, Brunei and Singapore can be on either side. 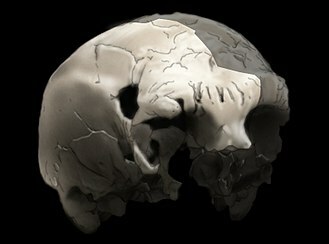 Papua New Guinea anthropologically is a part of Melanesia and is sometimes included in the Malay Archipelago. It is an observer in ASEAN and has contemplated full membership. Madeira is a Portuguese archipelago situated in the north Atlantic Ocean, southwest of Portugal. 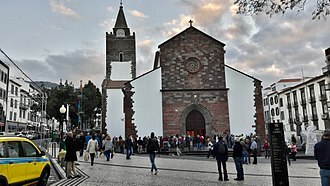 Its total population was estimated in 2011 at 267,785, the capital of Madeira is Funchal, located on the main islands south coast. The archipelago is just under 400 kilometres north of Tenerife, Canary Islands, since 1976, the archipelago has been one of the two Autonomous regions of Portugal. 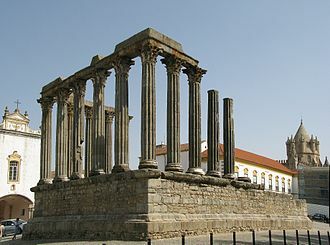 It includes the islands of Madeira, Porto Santo, and the Desertas, the region has political and administrative autonomy through the Administrative Political Statue of the Autonomous Region of Madeira provided for in the Portuguese Constitution. Madeira was claimed by Portuguese sailors in the service of Prince Henry the Navigator in 1419, the archipelago is considered to be the first territorial discovery of the exploratory period of the Portuguese Age of Discovery, which extended from 1415 to 1542. Today, it is a popular resort, being visited every year by about one million tourists. The region is noted for its Madeira wine, gastronomy and cultural value, its flora and fauna, landscapes which are classified as a UNESCO World Heritage Site and embroidery artisans. Its annual New Year celebrations feature the largest fireworks show in the world, Madeira is the second richest region of Portugal by GDP per capita, only surpassed by Lisbon. They are called the Isles of the Blessed, archeological evidence suggests that the islands may have been visited by the Vikings sometime between 900-1030. 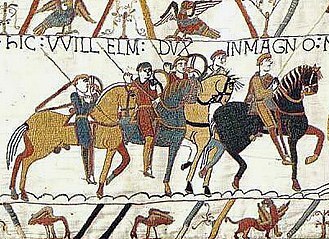 During the reign of King Edward III of England, lovers Robert Machim and they were driven off their course by a violent storm and their ship went aground along the coast of an island, that may have been Madeira. 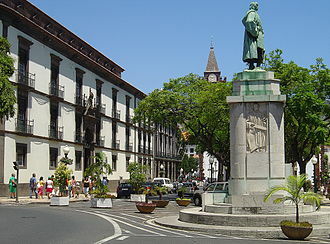 Later this legend was the basis of the naming of the city of Machico, knowledge of some Atlantic islands, such as Madeira, existed before their formal discovery and settlement, as the islands were shown on maps as early as 1339. The following year, an expedition, under the captaincy of Zarco, Vaz Teixeira. Subsequently, the new settlers observed a black cloud suspended to the southwest. Their investigation revealed it to be the island they called Madeira. The first Portuguese settlers began colonizing the islands around 1420 or 1425, grain production began to fall and the ensuing crisis forced Henry the Navigator to order other commercial crops to be planted so that the islands could be profitable. Yemen, officially known as the Republic of Yemen, is an Arab country in Western Asia, occupying South Arabia, the southern end of the Arabian Peninsula. 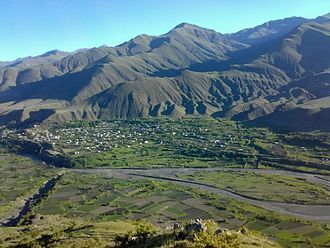 Yemen is the second-largest country in the peninsula, occupying 527,970 km2, the coastline stretches for about 2,000 km. It is bordered by Saudi Arabia to the north, the Red Sea to the west, the Gulf of Aden and Arabian Sea to the south, although Yemens constitutionally stated capital is the city of Sanaa, the city has been under rebel control since February 2015. Because of this, Yemens capital has been relocated to the port city of Aden. Yemens territory includes more than 200 islands, the largest of these is Socotra, Yemen was the home of the Sabaeans, a trading state that flourished for over a thousand years and probably included parts of modern-day Ethiopia and Eritrea. 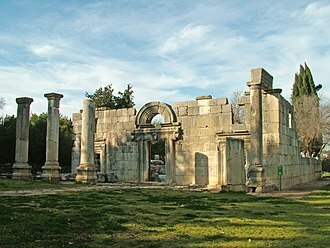 In 275 AD, the region came under the rule of the Jewish-influenced Himyarite Kingdom, Christianity arrived in the fourth century, whereas Judaism and local paganism were already established. Islam spread quickly in the century and Yemenite troops were crucial in the expansion of the early Islamic conquests. Administration of Yemen has long been notoriously difficult, several dynasties emerged from the ninth to 16th centuries, the Rasulid dynasty being the strongest and most prosperous. The country was divided between the Ottoman and British empires in the twentieth century. The Zaydi Mutawakkilite Kingdom of Yemen was established after World War I in North Yemen before the creation of the Yemen Arab Republic in 1962, South Yemen remained a British protectorate known as the Aden Protectorate until 1967 when it became an independent state and later, a Marxist state. The two Yemeni states united to form the modern republic of Yemen in 1990, Yemen is a developing country, and the poorest country in the Middle East. Under the rule of President Ali Abdullah Saleh, Yemen was described as a kleptocracy, according to the 2009 international corruption Perception Index by Transparency International, Yemen ranked 164 out of 182 countries surveyed. Halfaya Pass is located in Egypt, near the border with Libya. A600 feet high escarpment extends south eastwards from the Egyptian-Libyan border at the coast at as-Salum, Halfaya Pass is about two miles 2 miles inland from the Mediterranean and provides a natural route through. 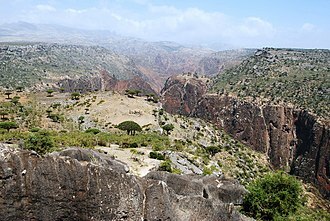 The escarpment is known as Akabah el-Kebir عقبة الكبير great ascent, to El-Edrisi it was known as عقبة السلوم graded ascent, whence the modern name of the gulf and the town of Salum. 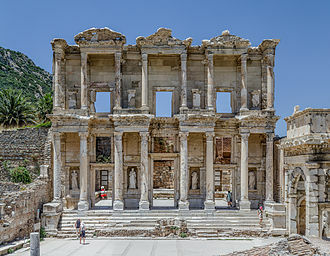 In antiquity it was known as Catabathmus Magnus and it was considered as marking the boundary between Africa and Asia in Hellenistic geography. It separated the provinces of Aegyptus and Marmarica, in World War II, the engineered route up the escarpment had been destroyed and the pass had great strategic importance. The only ways westwards into Libya were to assault the pass or to out-flank it to the south, rommels main force reached Sollum on the Egyptian border and occupied the Halfaya Pass. There were several allied attempts to recapture the Halfaya Pass and relieve Tobruk, the first attempt, on 15 May, was Operation Brevity. Rommel counter-attacked, the British withdrew and by 27 May the Germans had recaptured Halfaya Pass, supply shortages obliged the Germans to curtail their advance, so they dug in and fortified their positions at Halfaya with 88 millimetre guns. This was the anchor for the Axis positions, which opposed the Allied forces during the allied attack — Operation Battleaxe on 15 June. German armour was deployed to draw the British tanks onto the concealed 88mm guns, the German, Wilhelm Bach, in his conduct of the Axis defence of Halfaya Pass himself earnt the nickname, the Pastor of Hellfire Pass. The allied commander, Major Miles, was last heard on the radio reporting, the third attempt, Operation Crusader opened on 18 November, with an attack on Sidi Omar to the west of the pass and an attempt to outflank Rommel to the south and relieve Tobruk. This was achieved on 29 November, now under pressure, on 7 December withdrew to El Agheila. Axis garrisons at Sollum, Bardia as well as the Pass were left behind, Halfaya Pass was the location of the accidental death of Major-General Jock Campbell, commander of the British 7th Armoured Division. 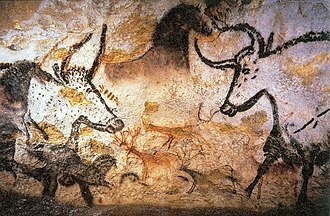 The mountain range forms part of the conventional boundary between the continents of Europe and Asia. Vaygach Island and the islands of Novaya Zemlya form a continuation of the chain to the north into the Arctic Ocean. The mountains lie within the Ural geographical region and significantly overlap with the Ural Federal District and they have rich resources, including metal ores, coal and semi-precious stones. Since the 18th century the mountains have contributed significantly to the sector of the Russian economy. 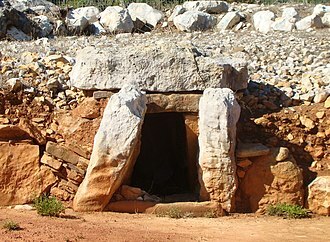 As attested by Sigismund von Herberstein, in the 16th century Russians called the range by a variety of names derived from the Russian words for rock and it might have been a borrowing from either Turkic stone belt, or Ob-Ugric. From the 13th century, in Bashkortostan there has been a legend about a hero named Ural and he sacrificed his life for the sake of his people and they poured a stone pile over his grave, which turned into the Ural Mountains. Possibilities include Bashkir үр elevation, upland or Mansi ур ала mountain peak, top of the mountain, tatischev believes that this oronym is set to belt and associates it with the Turkic verb oralu- gird. Dobrodomov suggests a transition from Aral to Ural explained on the basis of ancient Bulgar-Chuvash dialects, hawks believes that the name goes back to the Bashkir folklore Ural-Batyr. Shumilov suggested a Mongolian origin, Khural Uul, that is, the Evenk geographical term era mountain has been theorized. 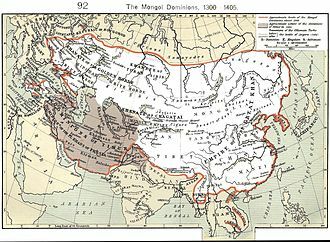 Finno-Ugrist scholars consider Ural deriving from the Mansi word urr meaning a mountain, turkologists, on the other hand, have achieved majority support for their assertion that ural in Tatar means a belt, and recall that an earlier name for the range was stone belt. During the next few centuries Novgorodians engaged in fur trading with the population and collected tribute from Yugra and Great Perm. 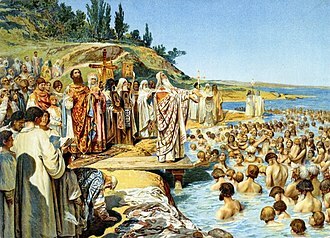 The rivers Chusovaya and Belaya were first mentioned in the chronicles of 1396 and 1468, in 1430 the town of Solikamsk was founded on the Kama at the foothills of the Ural, where salt was produced in open pans. 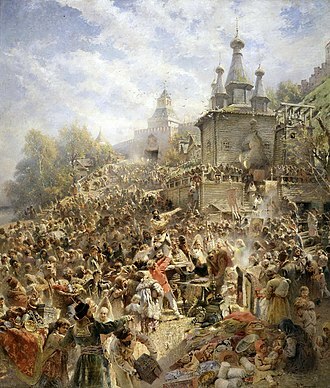 Ivan III of Moscow captured Perm and Yugra from the declining Novgorod Republic in 1472, with the excursions of 1483 and 1499–1500 across the Ural Moscow managed to subjugate Yugra completely. Isla de Aves, or Aves Island, is a Caribbean dependency of Venezuela. It lies to the west of the Windward Islands chain at 15°40′18″N 63°36′59″W and it is 375 metres in length and never more than 50 metres in width, and rises 4 metres above the sea on a calm day. Under a particular interpretation of the United Nations Convention on the Law of the Sea it could be classified as a rock, Venezuela claims it is an island, which grants it a 200-mile exclusive economic zone. Mostly sand, a portion has some scrubby vegetation. It is sometimes completely submerged during hurricanes and it is 185 kilometres southwest of the closest land, Montserrat,225 kilometres west of Dominica and 547 kilometres north of the Venezuelan mainland. The impact of Hurricane Allen in the 1980 Atlantic hurricane season divided it into two parts, but accretions of coral have subsequently reunited it, on August 17,2007, the force of Hurricane Dean severely eroded the island. The island is a resting and breeding place for seabirds and the Green Sea Turtle and its low profile makes it a hazard to navigation, and many ships have been wrecked here. 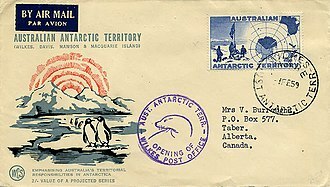 Aves Island is a particularly rare amateur radio entity, under the ITU prefix YV0, a 2006 expedition by operators to the island required 14 years of planning. Though one member suffered a heart attack, over 42,000 contacts were made during their week-long stay. The island was most likely discovered by Avaro Sanzze in 1584 and it was subsequently claimed for Great Britain, Spain and the Netherlands. Throughout the 17th, 18th and 19th centuries, the inhabitants of the Dutch islands St. Eustatius and Saba regularly visited Aves to collect turtle, in 1854, a US captain discovered the abundant quantities of guano on Aves and systematic collection started not long after. Both the Dutch and Venezuelan authorities found out and protested, the Dutch sent a warship to Aves. Its captain found Americans loading guano and he informed them that the Dutch considered Aves to belong to the Netherlands. In the meantime, in 1859, the Administrator of St. Eustatius granted a concession to collect guano on Aves to ‘Edward Green, Kean & Co. The fighting mostly took place in the Sinai and the Golan Heights, territories that had been occupied by Israel since the Six-Day War of 1967. 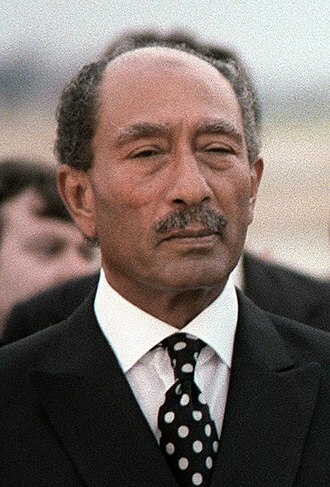 Egyptian President Anwar Sadat wanted to reopen the Suez Canal, neither specifically planned to destroy Israel, although the Israeli leaders could not be sure of that. 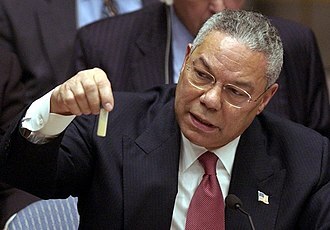 Egyptian and Syrian forces crossed ceasefire lines to enter the Sinai Peninsula, both the United States and the Soviet Union initiated massive resupply efforts to their respective allies during the war, and this led to a near-confrontation between the two nuclear superpowers. 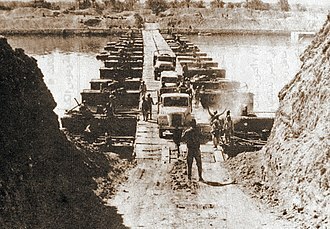 The war began with a massive and successful Egyptian crossing of the Suez Canal, after crossing the cease-fire lines, Egyptian forces advanced virtually unopposed into the Sinai Peninsula. After three days, Israel had mobilized most of its forces and halted the Egyptian offensive, resulting in a military stalemate, the Syrians coordinated their attack on the Golan Heights to coincide with the Egyptian offensive and initially made threatening gains into Israeli-held territory. Within three days, Israeli forces had pushed the Syrians back to the ceasefire lines. The Israel Defense Forces launched a four-day counter-offensive deep into Syria, within a week, Israeli artillery began to shell the outskirts of Damascus. He therefore ordered the Egyptians to go back on the offensive, on October 22 a United Nations–brokered ceasefire quickly unraveled, with each side blaming the other for the breach. 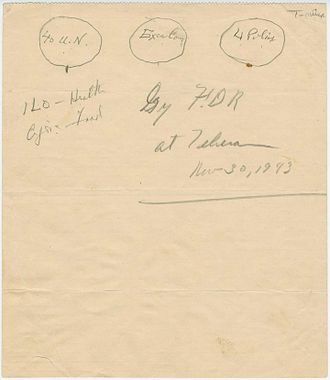 By October 24, the Israelis had improved their positions considerably and completed their encirclement of Egypts Third Army and this development led to tensions between the United States and the Soviet Union. 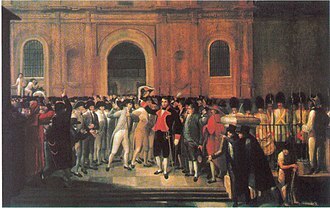 As a result, a ceasefire was imposed cooperatively on October 25 to end the war. These changes paved the way for the subsequent peace process, the 1978 Camp David Accords that followed led to the return of the Sinai to Egypt and normalized relations—the first peaceful recognition of Israel by an Arab country. 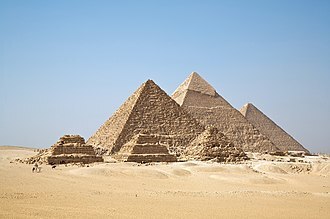 Egypt continued its drift away from the Soviet Union and left the Soviet sphere of influence entirely, the war was part of the Arab–Israeli conflict, an ongoing dispute that included many battles and wars since 1948, when the state of Israel was formed. A continent is one of several very large landmasses on Earth. Generally identified by convention rather than any strict criteria, up to seven regions are regarded as continents. Ordered from largest in size to smallest, they are, Africa, North America, South America, Europe, in geology, areas of continental crust include regions covered with water. Islands are frequently grouped with a continent to divide all the worlds land into geopolitical regions. 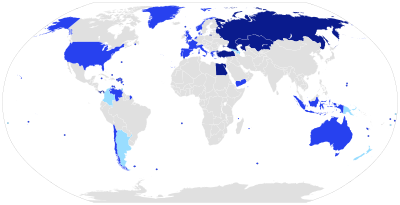 Under this scheme, most of the countries and territories in the Pacific Ocean are grouped together with the continent of Australia to form a geopolitical region called Oceania. By convention, continents are understood to be large, discrete masses of land, many of the seven most commonly recognized continents identified by convention are not discrete landmasses separated completely by water. Earths major landmasses all have coasts on a single, continuous World Ocean, the most restricted meaning of continent is that of a continuous area of land or mainland, with the coastline and any land boundaries forming the edge of the continent. From this perspective the edge of the shelf is the true edge of the continent. In this sense the islands of Great Britain and Ireland are part of Europe, while Australia, as a cultural construct, the concept of a continent may go beyond the continental shelf to include oceanic islands and continental fragments. In this way, Iceland is considered part of Europe and Madagascar part of Africa, extrapolating the concept to its extreme, some geographers group the Australasian continental plate with other islands in the Pacific into one continent called Oceania. This divides the land surface of Earth into continents or quasi-continents. The ideal criterion that each continent be a discrete landmass is commonly relaxed due to historical conventions, of the seven most globally recognized continents, only Antarctica and Australia are completely separated from other continents by ocean. Several continents are defined not as absolutely distinct bodies but as more or less discrete masses of land and Africa are joined by the Isthmus of Suez, and North and South America by the Isthmus of Panama. The Sinai Peninsula or simply Sinai is a peninsula in Egypt, situated between the Mediterranean Sea to the north and the Red Sea to the south, serving as a land bridge between Asia and Africa. It is the part of Egyptian territory located in Asia. Sinai has an area of about 60,000 km2. The bulk of the peninsula is divided administratively into two of Egypts 27 governorates, the Sinai Peninsula has been a part of Egypt from the First Dynasty of ancient Egypt. In periods of occupation, the Sinai was, like the rest of Egypt and controlled by foreign empires, in more recent history the Ottoman Empire. Israel invaded and occupied Sinai during the Suez Crisis of 1956, on 6 October 1973, Egypt launched the Yom Kippur War to retake the peninsula, which was the site of fierce fighting between Egyptian and Israeli forces. Today, Sinai has become a tourist destination due to its setting, rich coral reefs. 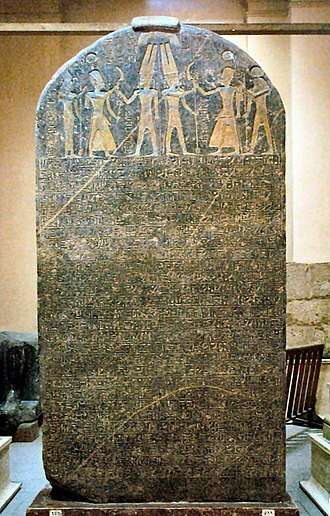 Mount Sinai is one of the most religiously significant places in Abrahamic faiths, in addition to its formal name, Egyptians refer to it as Arḍ ul-Fairūz. The ancient Egyptians called it Ta Mefkat, or land of turquoise, Sinai is triangular in shape, with northern shore lying on the southern Mediterranean Sea, and southwest and southeast shores on Gulf of Suez and Gulf of Aqaba of the Red Sea. 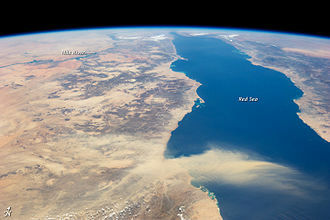 It is linked to the African continent by the Isthmus of Suez,125 kilometres wide strip of land, the eastern isthmus, linking it to the Asian mainland, is around 200 kilometres wide. The peninsulas eastern shore separates the Arabian plate from the African plate, the southernmost tip is the Ras Muhammad National Park. Most of the Sinai Peninsula is divided among the two governorates of Egypt, South Sinai and North Sinai, they comprise around 60,000 square kilometres and have a population of 597,000. 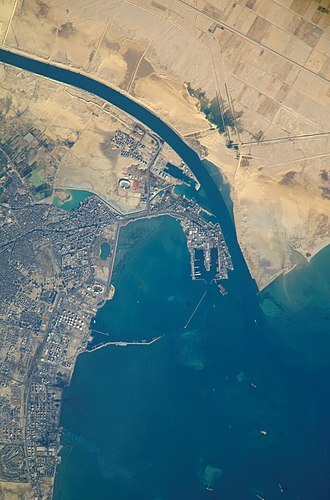 Three more governates span the Suez Canal, crossing into African Egypt, Suez is on the end of the Suez Canal, Ismailia in the centre. The largest city of Sinai is Arish, capital of the North Sinai, other larger settlements include Sharm el-Sheikh and El-Tor, on the southern coast. The boundaries between the continents of Earth are generally a matter of geographical convention. 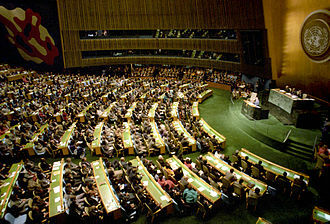 Several slightly different conventions are in use, the number of continents is most commonly considered six or seven but may range as low as four when the Americas and Afro-Eurasia are each considered a single continent. According to the definition of a continent in the sense, an island cannot be part of any continent. At its nearest point and Morocco are separated by only 13 kilometres, the Portuguese Atlantic island possession of the Azores is 1,368 km from Europe,1,507 km from Africa, and is usually grouped with Europe if grouped with any continent. By contrast, the Canary and Madeira islands off the Atlantic coast of Morocco are much closer to, the island nation of Malta is approximately 81 km from the coast of Sicily in Europe - much closer than the 288 km distance to the closest African coast. The nearby Italian island of Lampedusa is 207 km from Sicily while just 127 km from the African coast, Pantelleria is 100 km from Sicily, all of these islands are actually located on the African plate, and may be considered part of the continent of Africa. 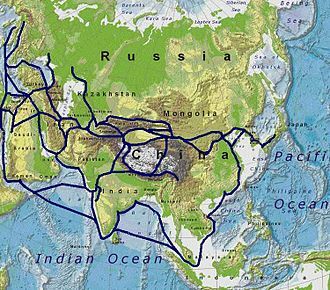 However, for political and historical reasons, maps generally display them as part of Europe, since there is no significant physical separation between Europe and Asia, the border between the two is merely a “historical and cultural construct that has been defined variously. 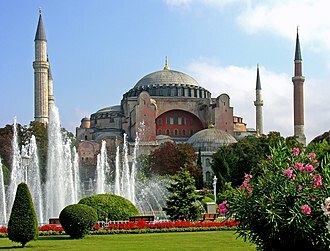 The Turkish city Istanbul lies on both sides of the Bosporus, making it a transcontinental city and Turkey are transcontinental countries with territory in both Europe and Asia by any definition except that of Eurasia as a single continent. 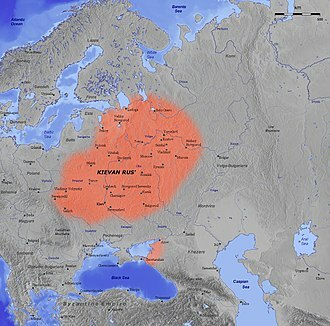 While Russia is historically a European country with a history of imperial conquests in Asia, Kazakhstan is a transcontinental country by this definition, its West Kazakhstan and Atyrau provinces extending on either side of the Ural River. This Ural River delineation is the segment not to follow a major mountain range or wide water body. The Ural River bridge in Orenburg is even labeled with permanent monuments carved with the word Europe on one side, the Kuma–Manych Depression remains one less-commonly cited possible natural boundary in contemporary sources. 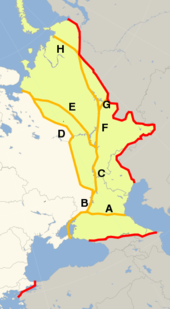 These border demarcations are not definitive and vary from one source to another, for instance, some geographic references place Georgia entirely in Europe, whereas others classify it as a transcontinental state that spans both Europe and Asia. A further complicating factor is that regardless of where one draws the continental border, although some geographic references place Cyprus in Asia, the country is generally accepted as part of modern Europe and has joined the European Union. According to the EU’s geographic requirements and geographic definitions of Europe are intertwined, the UNSD classification often differs from those of other United Nations organizations. 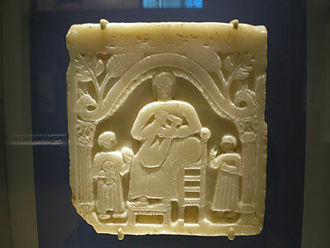 For instance, while UNSD includes Georgia and Cyprus in Western Asia, the threefold division of the Old World into Europe and Africa has been in use since the 6th century BC, due to Greek geographers such as Anaximander and Hecataeus. 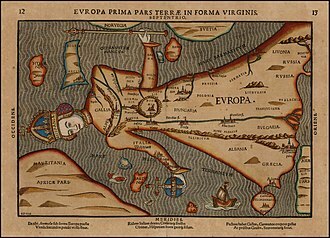 The boundary between Europe and Asia is very unusual among continental boundaries because of its largely mountain-and-river-based characteristics north, Europe is more of a subcontinent within Eurasia in geological terms, and it has sometimes been referred to as such. Road sign on the continental border between Europe and Asia near Magnitogorsk, Ural Mountains, Russia. 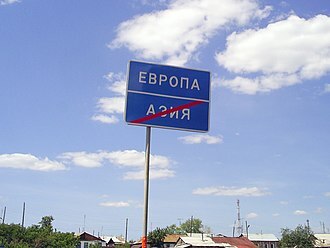 It reads "Europe", above a crossed-out "Asia", as one enters Europe and leaves Asia. 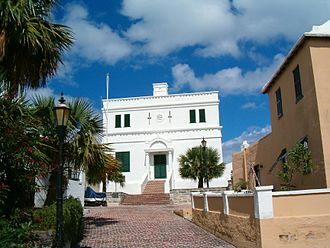 St. George's town, in the Islands of Bermuda, or "The Somers Isles". The colony was founded by the wrecking of the flagship of the Virginia Company in 1609. 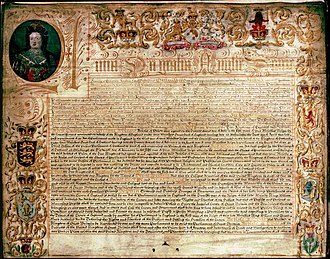 The Company's charter was extended to include Bermuda in 1612, and it has remained a British colony ever since. Since the rebellion of Virginia, it has been the oldest-remaining British colony, and the town of St. George's is the oldest continuously inhabited British settlement in the New World. Leaders of the Overseas Territories with former Prime Minister David Cameron in 2012. The Principality of Sealand is a micronation located on a seafort off the coast of the United Kingdom. "Welcome to the Conch Republic" – a sign at Key West International Airport. Detail view of one of the main pylons. Isla de Aves was included in Venezuela's territorial reorganization done by President Joaquín Crespo in 1895. The Don River in Voronezh Oblast. Source of the Don River in Novomoskovsk, Tula oblast.